"I like their cheerful uptempo melodies by piano and orchestral vocals and rocking guitar in it, a great mix very good material"
Sulpank is an indie rock band based in Valencia (Spain). We compose, produce and record our songs. We make the music we want, the music we like, the music we wish someone ever has recorded. Unsigned, without professional recording studio and no producers or external sound engineers. We do it all ourselves. We are free, we live music with passion and we put all our energy into our songs. 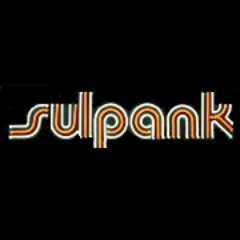 Sulpank members are Toni Altarriba (Drums & percussions), Daniele Caprari (Lead guitar), José C.Monforte (Vocal, guitar & keyboards) and Santiago Tomás (vocals & bass).